. يقدم Lady Bay Resort خدمات لا غبار عليها وكل أشكال اللياقة وحسن الضيافة اللازمة لإسعاد ضيوفه. لضمان راحة ضيوفه، يقدم الفندق الخدمات التالية: واي فاي مجاني في جميع الغرف, مرافق مخصصة لذوي الاحتياجات الخاصة, واي فاي في المناطق العامة, صف السيارات, مطعم . تنعكس أجواء Lady Bay Resort في غرف الضيوف.تلفزيون بشاشة مسطحة, اتصال لاسلكي بالإنترنت, اتصال لاسلكي بشبكة الإنترنت (مجاني), حوض الاسترخاء, غرف لغير المدخنين هي بعض الميزات الموجود في العديد من الغرف. يمكنك طلب اللائحة الكاملة للخدمات في الفندق ومن بينها حمام سباحة خارجي, سبا, تدليك. يشكل Lady Bay Resort بخدماته الراقية وموقعه الممتاز، قاعدة مثالية للاستمتاع بإقامتك في وارنامبول. جميع أنواع الغرف بها تكييف هواء، ولكن ليست كل غرف النوم بها وحدة تكييف هواء. Excellent stay and staff. My only negative feedback at all would be that there needs to be a different option for breakfast other than the restaurant opening at 8am. Doesn't account for early departures. As a Warrnambool boy myself, I have never stayed at accommodation in town before and this is a wonderful part of my awesome home town. I was on the agoda app on my phone looking to book the lady bay resort in Adelaide while we were there weeks before for a lunch, it had the Adelaide one on there so I booked it but instead of booking the Adelaide one it changed it to one in Victoria with identical name rooms etc. I tried to contact the resort to fix & get a refund as I had to book & pay again for the Adelaide one, but they said I had to do it through agoda. Agoda had no way of contact exept a number that kept me on hold for 2 hours until I finally hung up & I had no way to cancel the wrong hotel or try to get refund because of an app error. I'd book for my partners birthday with some close friends 2 rooms and it was very upsetting that it cost me double the money that I couldn't afford. Room was a good size for 2. Kitchen was well-equipped and there were supermarkets nearby. One thing I had a problem with is that there is no heating in the bedroom, only the living room. Very nice room, big and clean, feel like home. location of the hotel is fantastic. close the beaches, lookout point, town. the room is very clean. fully equipped kitchen. 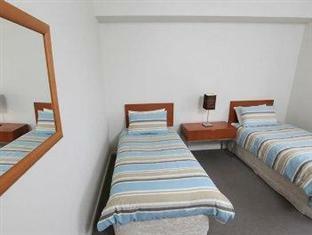 Hotel is conveniently locate at the end of the Great Ocean Road. If you don't want to rush back to Melbourne on a same day trip, this is your idea stopover. Really disappointing. My request for a room was completely ignored.The front door is made of frosted glass - not good for security as you could see vaguely through it. Every window opened onto a road, skate rink or restaurant. The carpet caught on the front door making it really difficult to open and close. The staff were rude when discussing the booking. I have stayed a number of times before and really enjoyed it but I have been really deterred by my last visit. our 2 bedroom apartment is facing a junction of the road, middle of night is very noisy and the room is lookd old. Noisy, overpriced, free internet not workable for business stay - limited. Agoda quoting in American $ lead to very expensive stay. blinds in tatters. Couldn't open a window because very noisey on corner of main road, buses, trucks etc. Dirt and dust everywhere. Very happy with the choice to start at the Lady Bay. Close to beaches and the breakwater, with a great cafe down the road and decent coffee at the inhouse restaurant. 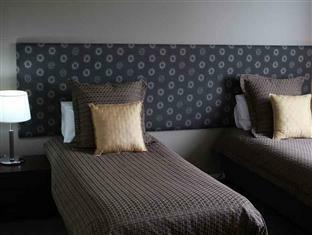 Rooms are spacious and comfortable. The studio apartment overlooked the car park and the skate park which is not clear from the website but the balcony was still nice to have and did have a beach/river view which was nice. Perfect. Very comfortable.The spa was very relaxing. Breakfast was delicious. An excellent hotel. The room was large, well laid-out and clean. 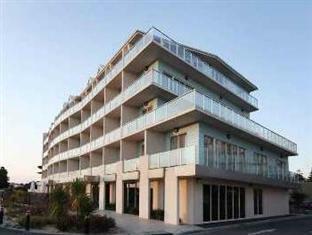 Right across the road from the beach and walking tracks.